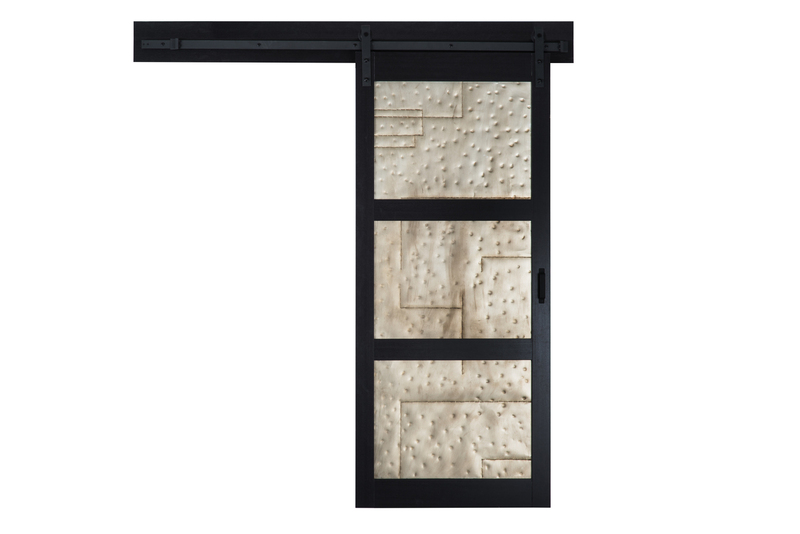 This distressed metallic insert barn door with black frame is pre-finished in a contemporary wood grain which requires no priming, painting or staining. Barn doors are also an excellent space saving solution …versus a tradition swing door while adding character and a unique charm to any room. Our barn doors compliment any home, office or common space and include our hardened steel bent strap hardware kit and matching handle in matte black finish. 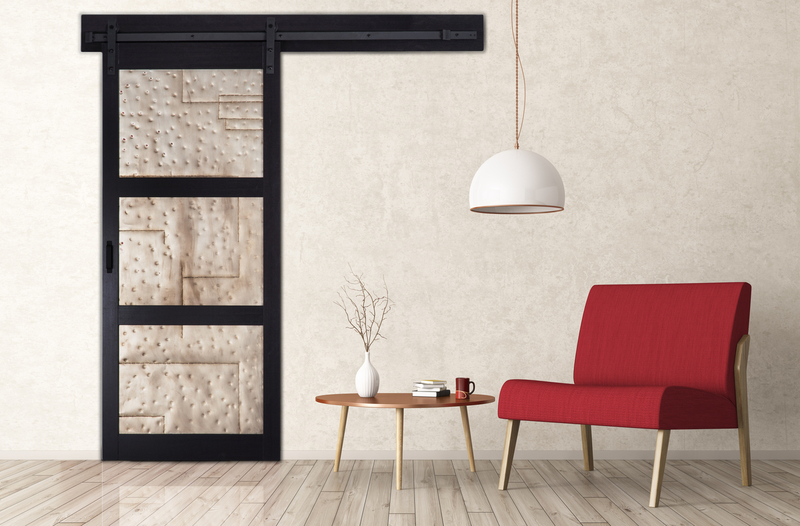 This distressed metallic insert barn door with black frame is pre-finished in a contemporary wood grain which requires no priming, painting or staining. Barn doors are also an excellent space	… saving solution …versus a tradition swing door while adding character and a unique charm to any room. Our barn doors compliment any home, office or common space and include our hardened steel bent strap hardware kit and matching handle in matte black finish.